Their origins remained unclear until 1998, when it was recognized, by a few individuals, that the horses probably were Spanish. In August of 2002, based on three separate DNA analyses and photo and video records, the horses were accepted by the Horse of The Americas Registry as the Abaco Barbs, descendents of horses brought over at the time of Columbus’s explorations. 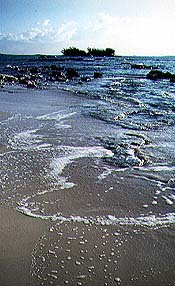 Further DNA work has shown that the horses are more accurately named the Abaco Island Horse. Throughout the world horses of pure Colonial descent are becoming more and more critically endangered. 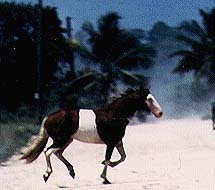 The Abaco horses nearly went extinct in the early 1970’s. They tried to come back, but the last mare died in July, 2015. The horses were brought to Abaco by a logging company in the late 1800’s from Cuba, Columbus had two horse farms in Cuba. When the logging company changed to tractors in the 1940’s, the horses were turned loose, abandoned. Few people would have expected domestic horses to survive after years of human care, but they did. Spanish Cnquistadores’ horses were bred to survive long sea journeys and harsh conditions. 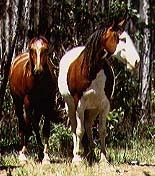 The Abaco horses flourished. On a sun-drenched and salt-seared island they found food, shelter and water in the regenerating pine forests. Only a few horses were lost to people from the outer islands who captured them for work at sugar mills. In the 1960’s, disaster struck in the form of a road from one end of Great Abaco to the other.The shelter of the pines was shattered. 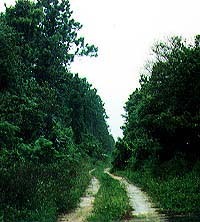 Suddenly humans had access to abandoned but still passable logging roads. Some people ran the horses down the roads until they were close enough to be roped out of the windows or until they dropped from exhaustion. Many of these animals became legends, for their anecdotal lives, the vicious cruelty visited on them, and their tragic ends. A tragedy involving the death of a young child who tried to ride a tame wild horse while unattended resulted in a wholesale slaughter. Former Senator Edison Key said in an interview, “When we were clearing the land for the farm in the early 70’s, we found carcasses and bones everywhere. I started thinking. It just wasn’t right.” Three horses were brought out of captivity to the farm. Those three horses simply lucked out. They shared shelter and feed with the cattle on the farm. Once they were up to about 12 head they were released. The wild horses returned to the pine forest. In 1992 the herd was over 30. By 2015 the horses were gone. The horses used to ‘commute’ between the forest and the farm. After hurricane Floyd the horses stayed on the farm full time and were exposed to a broad rnge of chemicals, herbicides, pesticides and synthetic feritlizers. When, after four years there was no reproduction, it became apparent that something was very wrong. A very, very special victory was won when the Bahamas Government bestowed upon W.H.O.A a large portion of crown land in Treasure Cay, Abaco, thus creating a formal sanctuary for the remaining horses and which now also includes abandoned dogs and cats. Subsequently a Board of dedicated Directors was appointed to oversee the land and the interests of the horses and a strategic plan was created. 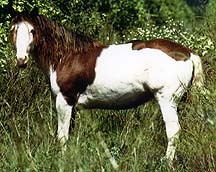 All the mares and one stallion were moved to a Preserve in their old habitat in the forest in 2004. Several more deaths occurred from pre existing conditions.